The president and CEO of the Elizabeth Glaser Pediatric AIDS Foundation (EGPAF) urges President Trump to listen to HIV advocates. If there is a place in American rhetoric for unrestrained ambition, it is the State of the Union address. Seemingly implausible promises made in these speeches, from putting a man on the moon to waging a war on poverty, have become historic realities within a few short years of their announcement. In 2003, President George W. Bush seized the State of the Union platform to urge Congress to perform a “work of mercy” which would save the lives of more than 17 million people with HIV over the next 15 years: investing $15 billion in a brand new Emergency Plan for AIDS Relief (PEPFAR), and transforming the course of the global epidemic. President Donald Trump’s announcement in last night’s State of the Union — of a commitment to end HIV transmission in the United States and beyond by 2030 — has reminded the nation that HIV remains a persistent global and domestic threat. Over 1.1 million people in the United States are living with HIV. Nearly 15 percent of them are unaware of their status, only half have achieved viral suppression. And in 2017, nearly 40,000 people in the United States received an HIV diagnosis. In the past, Presidential stake has served to lift the fog of complacency when interest in a public challenge has faced the burdens of fatigue or disillusionment. But as important as awareness is, eliminating HIV transmission in the United States will require a tenacious commitment to sound, scientific public policy on domestic AIDS, an area in which President Trump’s track record inspires no confidence, and has threated access to critical medications and stigmatized vulnerable populations. 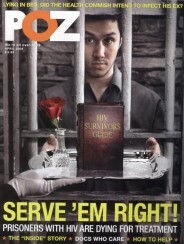 In light of President Trump’s history on HIV, doubts expressed by leading domestic HIV activists and service organizations are well-founded. As the U.S. Department of Health and Human Services (HHS) rolls out details of the plan in the coming days, it should be met with extreme scrutiny and carefully contained hopes. Dozens of domestic HIV experts are already weighing in on what it will take to make the strategy a success; I urge the President to listen carefully. Eighteen months ago, six members of the President’s Advisory Council on HIV/AIDS (PACHA) resigned in protest over his lack of understanding and concern about the epidemic, citing the President’s failure to meet with advocates as a candidate and his unwillingness to include experts in his health care policy decisions as President. He showed exactly how correct this assessment was when he fired the rest of the Council and left it unstaffed for an entire year, finally relaunching in the last month. From my perspective as the CEO of an organization that has been fighting HIV for 30 years, it is clear to me that the most effective programs are borne out of meaningful collaboration and a willingness to listen. This was true in the early days of the epidemic, when American activists and people living with HIV demanded that their voices be heard in order to drive research and make treatment available. And it is true today across the globe: as an organization that implements PEPFAR programs across sub-Saharan Africa, we have seen firsthand that only by working with service providers on the ground and the people who will actually benefit from our services will we be able to mount an effective response to the epidemic. The President should solicit evidence-based contributions from experts in the field and those living with the disease. 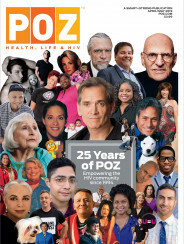 Only by taking into consideration the many voices and faces that represent HIV in the United States and around the world will any effort have a chance of success. Charles Lyons is president and chief executive officer of the Elizabeth Glaser Pediatric AIDS Foundation (EGPAF), which seeks to end global pediatric HIV/AIDS through prevention and treatment programs, research, and advocacy.